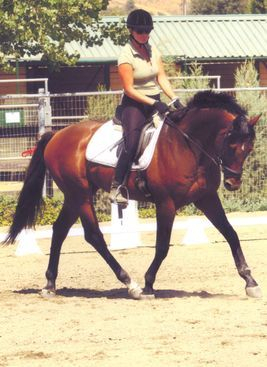 Beautiful TB stallion he was bred for racing but his conformation and type is all sport horse, with beautiful movement and a lovely uphill build, good bone and feet, elegant neck and head and a sweet and willing temperament. 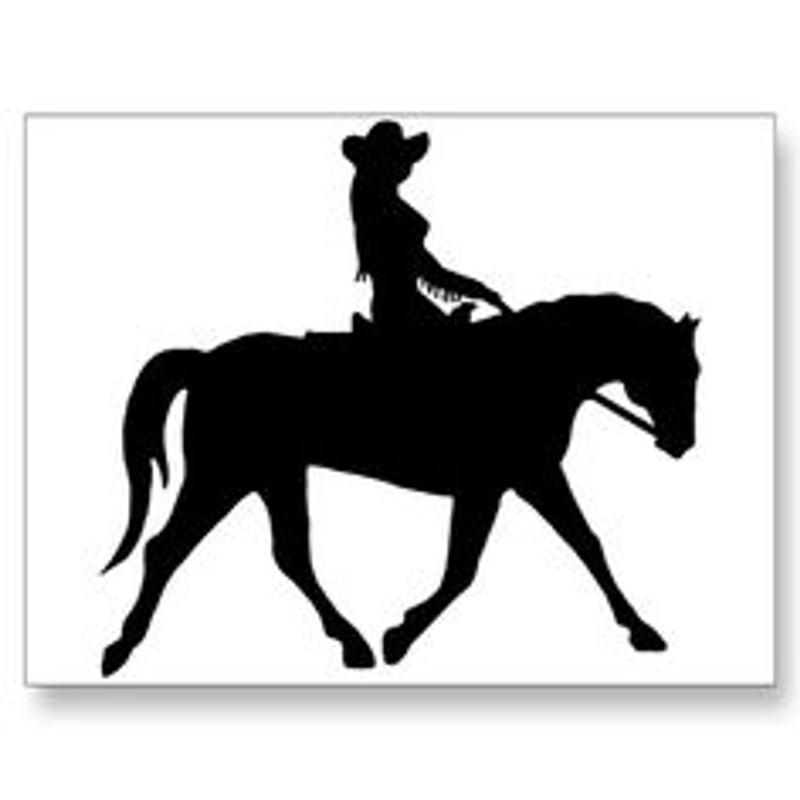 He has 4 TB and 1 appendix QH foal so far and all are correct with wonderful dispositions. Houston is currently being shown and he is everything I hoped for: lovely mover, beautiful with tons of chrome and a sensible boy. True to Houston his sire is Houston. 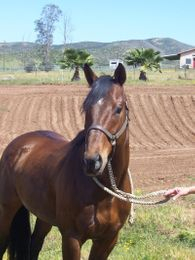 True to Houston is registered with the Jockey Club and PHR and recorded with the AQHA and APHA. I believe he would cross well with drafts and Quarter Horse warm blood mares and he has shown he will produce a quality TB sport horse. Would like to emphasize that Houston is an excellent choice for anyone looking for ride ability, athletic ability and good temperament in a sire. 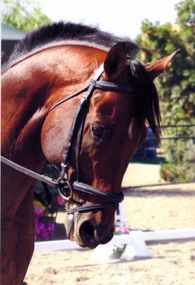 You would think he was a warm blood, pretty mover, excellent temperament. An eye-catching stallion, easy to ride and handle. 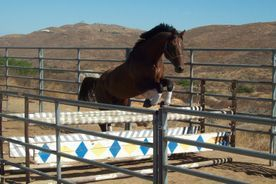 Houston has been at a dressage barn however given the chance he loves to jump. 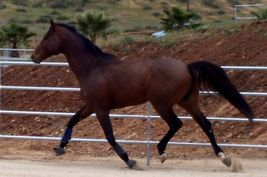 He has very lovely elastic gaits that are wonderful to sit and a natural uphill build and climbing canter that makes clean flying changes easy for him. 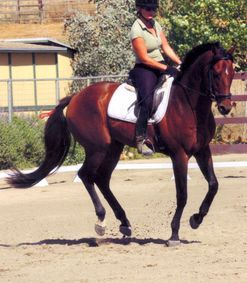 His lateral work is a dream when in half-pass at trot and canter. Houston is forward and light in contact, movement and thinking. Excellent confirmation topped with an unbeatable disposition. Superb movement and a proven pedigree. Proven stallion, Houston has thrown beautiful foals, see below pictures of "Attikis."